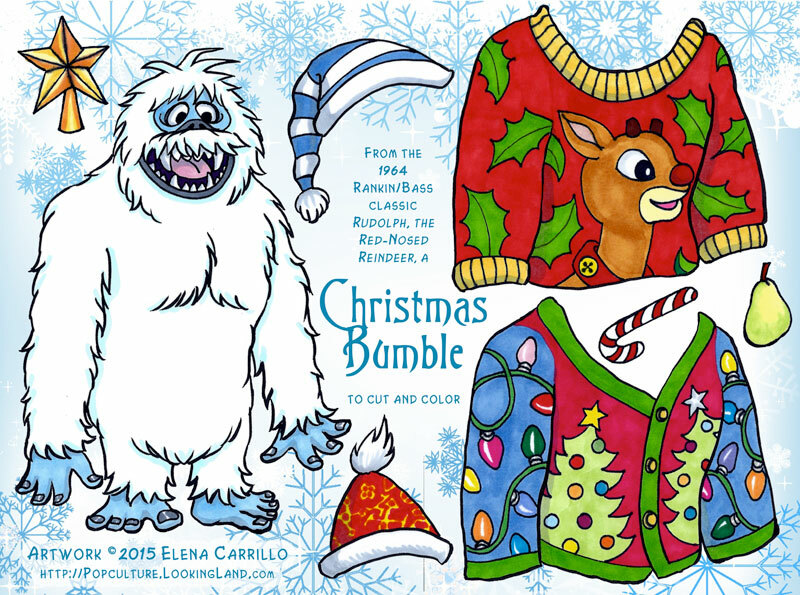 Here is my colored version of Mr. Bumble suffering the indignities of having to wear the traditional ugly Christmas sweater. He doesn’t look like he’s suffering too much, though, so that’s a good thing. I’ve got one more plate for Mr. Bumble, which I will post on Wednesday.